Your kitchen – it’s the hub of your home, and we spend increasing amounts of time relaxing, chatting, entertaining and, yes, even working in the kitchen – as well as simply cooking in it – so let the company who really understands building and interior design, work with you, to give your new kitchen the ‘wow’ factor. 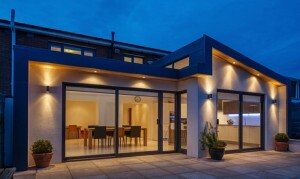 We at Doyle Bros Construction provide a unique built kitchen extension package. Our package includes the design, build and furnishing of your new kitchen extension to include a sleek, modern fitted Kitchen. We have access to a stunning range of high quality kitchens in a wide variety of styles, finishes and colours. We address every aspect of the new kitchen extension – from the initial extension design and build, to the selection of your choice of kitchen units, worktops, flooring, lighting, switches and sockets, right down to your choice of paint colours. We fully understand exactly what you want from your dream kitchen so our project manager will ensure that your new kitchen is completed to the highest standard on time and on budget! We are currently running an attractive package of a built kitchen extension complete with a sleek modern fitted kitchen for €29,950.00. The dimensions of the extension are approx. 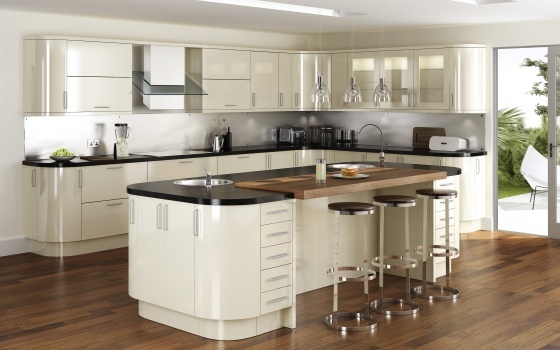 14ft x 14ft, and the choices of 3 modern kitchens are available with this package. So how much should I consider for my budget? We would suggest you budget as a minimum €26,000.00 for this purpose built extension excluding the fitted kitchen. You may wish to select your own particular kitchen at a later date, the option is yours! Call us for an appointment; our recommendations may fit your budget!